Mildred R. Herman, 96, of Mt. Auburn passed away at 5:59p.m. on Sunday, April 15, 2018 at Imboden Creek Living Center in Decatur. She was born on January 22, 1922 in Mt. Auburn, the daughter of Clarence O. and Ruby (Ward) Butcher. She married Paul W. Herman on September 10, 1941 in Mt. Auburn. Paul preceded her in death on November 26, 1988. Mildred was a homemaker and farmed along side her husband Paul on the family farm. She was a member of the Mt. Auburn Church of Christ. She enjoyed crafts, especially quilting, sewing, and basket weaving. 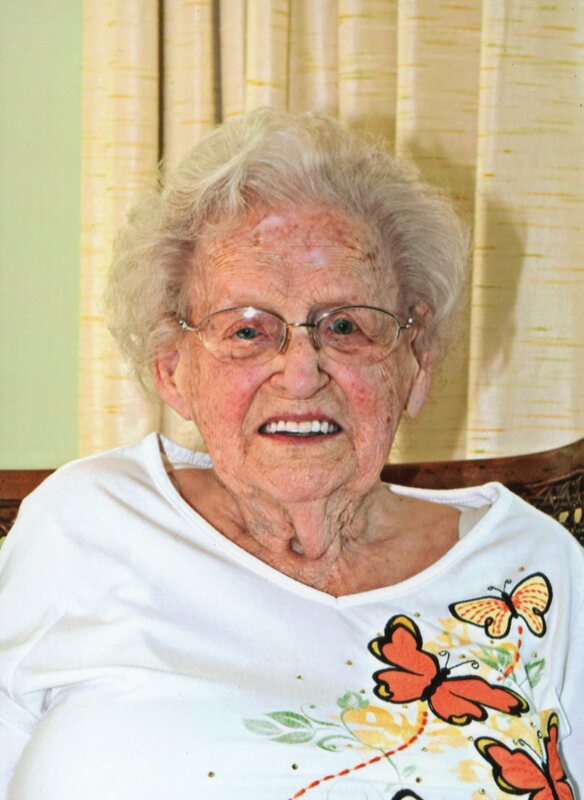 The family would like to extend their appreciated to the staff of Imboden Creek Gardens and Living Center for the dedicated care they provided to Mildred. She is survived by her children: Joan Anderson (Wes) of Kenney, Judy Buzzard of Mt. Auburn, and Gary Herman (Laniesa) of Blue Mound; 7 grandchildren; 14 great grandchildren; 1 great-great grandchild; and nieces. She was preceded in death by her parents, husband, daughter: Janet Sue Herman in infancy; son-in-law: Terry Buzzard; and siblings: Lois Butcher, Carl Butcher, Lucille Bottrell, and Vera Herman. The funeral service for Mildred will take place at 11:00a.m. on Friday, April 20, 2018 at McClure Funeral Home in Taylorville with Rev. Bob Cook officiating. Visitation will be held from 9:30 until 11:00a.m. on Friday in the funeral home. Burial will take place in Hall Cemetery in Blue Mound. Memorials may be left to the Mt. Auburn Community Club. McClure Funeral Home and Cremation Services in Taylorville is handling arrangements. Memories of Mildred, or condolences to her family, may be left online at www.mcclurefuneralhome.com.